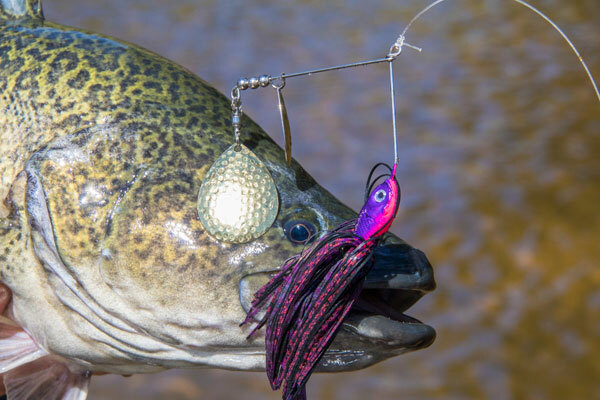 The market for Murray Cod lures is growing every season with more options, new designs, larger lures and extensive colour ranges. With this booming market it makes your decision even harder. First of all; what lure should you buy and the even tougher question… Which one do you cast? 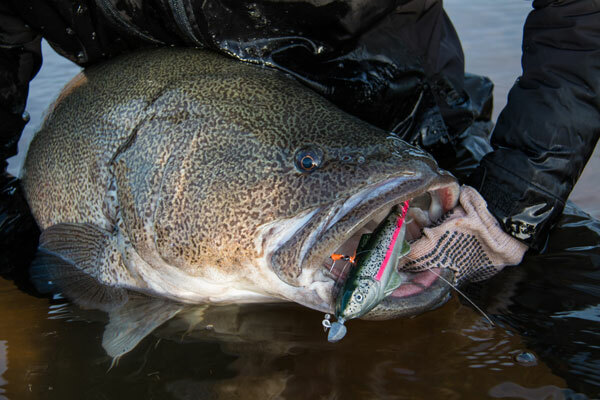 Three popular lure types for Murray Cod: hard bodys, spinnerbaits and soft plastics. The spinnerbait has been around for some time now and emerged in the native lure market as one of the best! 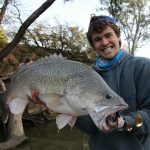 If you fish for Murray Cod, in any waterway and you don’t own a spinnerbait, you are missing out. Snag resistant – They are extremely snag resistant and can be cast into almost all forms of structure; heavy timber, rocks, logs and everything else you can think off. 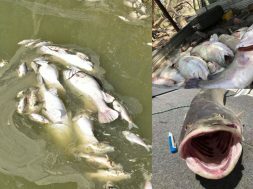 This is a huge benefit for a river lure. Ability to sink – This is a big plus when fishing bankside structure, especially in higher flows as you can let the lure fall underneath the log, right in where the fish is hiding. Always working – Even while the lure is sinking the blades will still rotate and therefore it’s always working and attracting fish. Customisable – The great thing about a spinnerbait is it’s easy to change skirt colours, add bigger tails, add and remove stinger hooks and mix and match your blade configuration. This ability to change the lure to suit different situations is a big plus. Easy to cast – They are an easy lure to cast accurately and tight to structure. Slow flowing water: use a Colorado blade as it will sink slowly and hold in front of the fish for longer. This means you will need to retrieve slowly, especially as you start to upsize the blades. Fast flowing water: this is when you want to use a willow blade as it will catch less water and sink quicker which is important in fast moving water. A Coloardo blade will get caught up in the fast water and will push away from the structure far too quick. Even though a spinnerbait doesn’t look like anything that natives eat… they just work! For some reason these lure work when all else fails, even in highly fished areas. There is something about a spinnerbait that attracts natives like no other lure and if you’re ever unsure of what lure to use… put on a spinnerbait! Spinnerbaits come in a range of sizes (3/8oz, 1/2oz, 5/8oz, 3/4oz, 1oz, 1.5oz, 2oz) with the most common and versatile being 5/8oz. 5/8oz: this is the most common size and can be used in almost every situation. 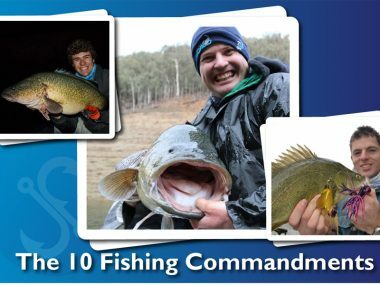 This is the go to size when casting in majority of rivers and creeks and will appeal to Golden Perch and Murray Cod of all sizes. With so many brands making spinnerbaits these days there is plenty of choice, but make sure you only use quality. The only spinnerbait brand I use is the Mud Guts Spinnerbaits Range as they are built tough, work well and catch fish. A few other good quality brands are: Bassman and Outlaw. 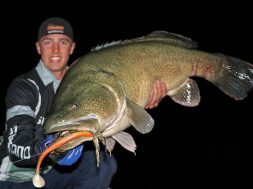 Diving hard body lures are one of the oldest lures used for Murray Cod and they are still a favourite among anglers. 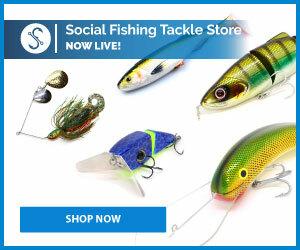 They are an exceptionally lifelike lure, they cast and troll well and are extremely snag resistant. Snag resistance – Hard body lures are designed so that the bib angles down and the hooks stay away from the structure. They bounce over timber really well and they can be fished in heavy and dense timber. Various speeds – You can fish a hard body both slowly and quickly which is a huge plus over a spinnerbait, which can only be fished slowly. Perfect for covering water quickly on a hot bite or searching through submerged timber. You can increase the retrieve speed and the lure will stay down deep and continue working. Life like – The deep thudding action is perfect for native species and it works really well in dirty water. 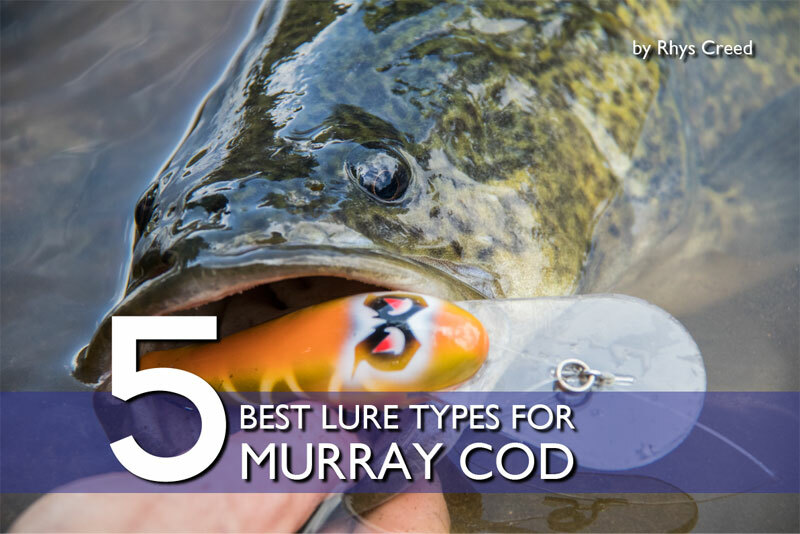 The large pulse that the hard body emits helps the cod hone in on the lure in all conditions. The smaller models are great for casting, especially when you’re retrieving along the length of a log. Diving hard body lures come in a range of lengths, styles and shapes to suit a range of conditions, from 50mm all the way up to and beyond 200mm. 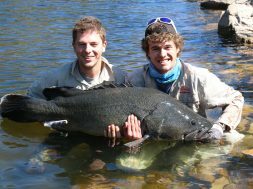 70-90mm: this is the best size for catching numbers of fish. It is a great all round size, can be cast and trolled and will catch both small and large fish. Here is a list of a few quality brands that we like to use: AC Invaders, Strikeforce Timber Lures, Custom Crafted, Balista and White Crow. 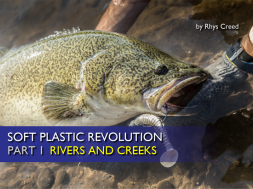 Soft plastics have been around for some time but have only just made their way into the Murray Cod market. 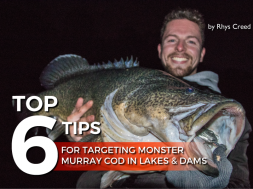 Big plastics are becoming the go to lure for casting in big lakes and dams for metre plus Murray Cod but they are also becoming a good subtle option for fishing in clear rivers. 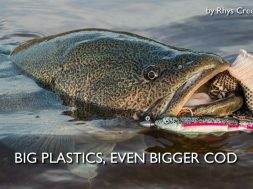 Realistic – This is the number one reason as to the large plastic boom over recent years. These lures are unbelievably realistic and they match what the fish are feeding on. This means that fish are more attracted to them compared to other presentations and therefore they catch more fish! 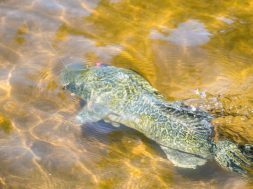 Customisable – This is one feature of the soft plastics that I love. You can customise them to suit the conditions. You can use jigheads with different weights for fishing different depth waters. You can add a range of different stinger hooks, fixed or assist style with trebles (this is how we rig our plastics and you can watch a video demo about rigging plastics here), you can rig them as a line thru style or even weedless. The opportunities are endless and this make plastics a versatile option. Price – this is where they really win over the other lures. 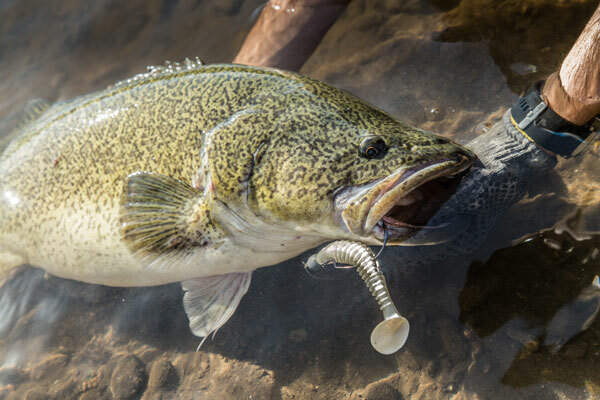 The price of a soft plastic lure is well below the average price of a Murray Cod lure. Some of the larger 200mm plus plastic sit between $10-18 and the smaller models can come in packs of 2-5 and still cost below $10 a packet. 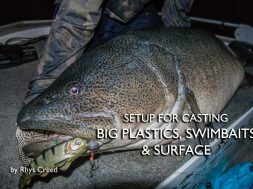 Casting big plastics for Murray Cod in lakes and dams is where these lures win over all other styles. Especially when you are fishing throughout winter or in really clear waters and in areas that don’t have too much heavy timber (as they aren’t very snag resistant). 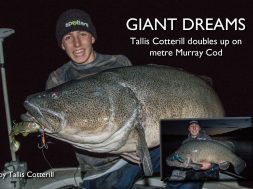 160-220mm: this is the perfect size range for fishing in lakes and dams targeting big Murray Cod. 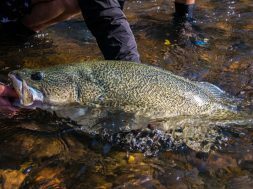 Back in 2015 you would have had a hard time finding a plastic built for Murray Cod, but now there are plenty. Our favourite and go to has always been the FX Fury soft plastic followed by; Powerbait Ripple Shad, Gotcha Shad and the RIP Shad. 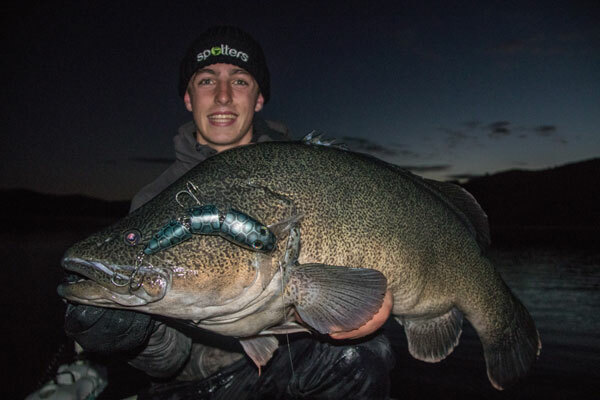 Surface fishing might not be the most efficient way to catch Murray Cod but it easily takes the trophy as the most exciting! 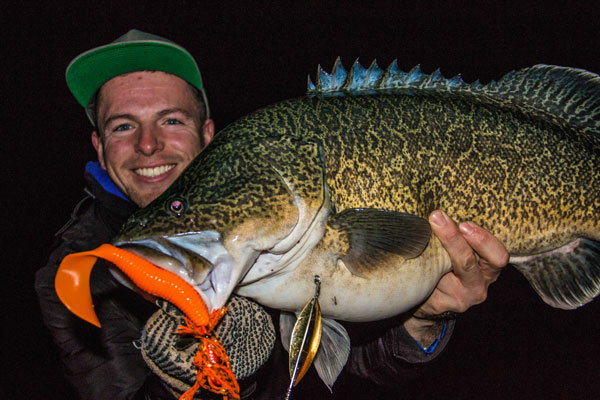 Anglers are targeting Murray Cod on surface more and more every single year because its loads of fun! Surface lures are really on a totally different playing field compared to all these other sub surface options. 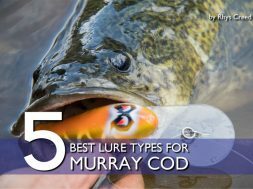 If you want to catch as many cod as you can than surface fishing isn’t for you, but if you want a challenge and some incredible fun than tie on a surface lure. 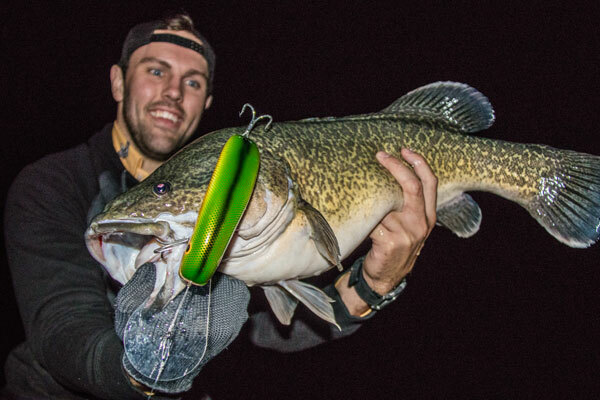 The best time to use surface lures is definitely during the night and in low light periods. 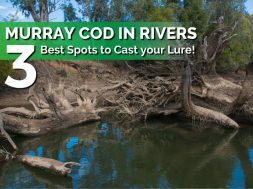 This is when Murray Cod are more likely to attack on the surface. Small creeks during summer is the best situation to use surface as these creeks are relativity shallow and surface feeding is common in these areas. You’ll only usually catch small fish but it’ll be great fun! 80-120mm: this is a great size to use in both small creeks, rivers and even lakes. 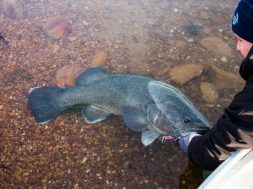 They aren’t too big but also aren’t too small to attract even the biggest of Murray Cod. There are more lure makers starting to branch into surface options as this style of fishing is starting to take off, but a few of my favourite brands are: Gobsmacked Surface Lures, Strikeforce Timber Lures, Balistas, Bunji, Kingfisher and Mudeye. 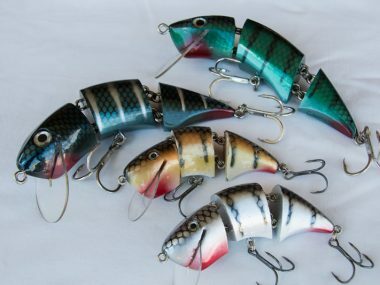 Swimbaits are the last lure on the list and they are similar to soft plastics (sometimes included in the same category) and are also hitting the market in the same manner. They are usually made of hard plastic but can also incorporate soft plastic elements. Life like: swimbaits are all about the swimming action and if you get your hands on a well-made model than it should have an unbelievable swimming action. They swim side to side with a wide snaking action and look exactly like a real fish. The better models are usually jointed with three or even more body sections. The only downside to the swimbaits is their price tag. For some reason the price that is put on these lures is ridiculous and majority of the models are imported from overseas as they are built for Bass and also Pike. Make sure you have a tough lure, you may have to upgrade the hooks as well but try to avoid spending too much money. My opinion is you’re better off with soft plastics as the price tag is much better. The best time to use swimbaits is much the same as a soft plastic. They are best used in lakes and dams when fishing areas with limited structure. They do also work really well in rocky rivers and creeks as the structure is mainly rock rather than timber. 100-200mm: the size range all depends on the style of fishing but large 200mm models work great in the dams chasing large fish and the smaller models are better for the river and creek situations. There are plenty of brands on the market but if you’re looking for a good option, Westin make a good range at reasonable prices. 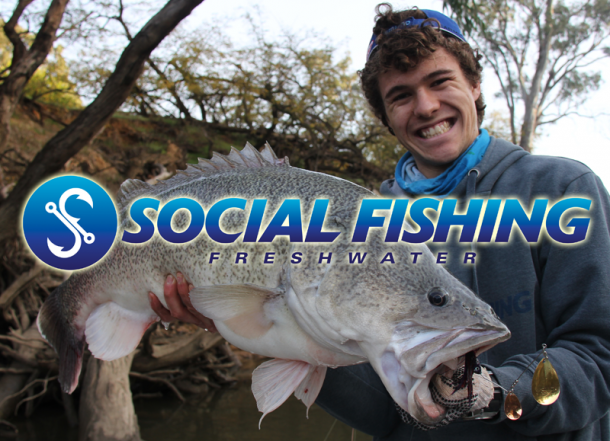 What you’ve just read above is a brief overview about the best lures to use for Murray Cod. This is a perfect start if you’re just starting out in the freshwater lure fishing world. BUT, there is so much more to learn about lure selection and the more you know the better your judgement will be when choosing which lure to use on your next trip. That’s why I created the Complete Guide Lure Fishing Series, which is an online tutorial series that runs through everything you need to know, step by step, about freshwater lure fishing. This includes lure selection tutorials PLUS more!